One of the biggest hassles about foot and back pains is the fact that physical features often cause them. As such, avoiding it is at times inevitable, and the only solution is to find ways of managing or remedying the pain. This is particularly the case if you have an arch that is anything other than medium. Because your feet are burden with supporting your body’s weight, it only makes sense if it is in perfect shape to carry out the task. If you have an arch that isn’t ideal, the components of your foot will be strained too much, resulting in complications like back pain. Different people have various types of foot shapes. Some have low and medium arches, while others have high arches. In fact, 20 percent of the population has high arches. Usually, individuals with high arches experience high pressures under the forefoot and back, heel, that occasionally causes pain. Also, because the foot doesn’t easily flex, the absorption of the impact of the heel strike is poor. As a result, when one is walking or running, he or she experiences problems like atrophy of the fat pad of your heel, unstable ankles, list item, Plantar Fasciitis, calloused soles, claw foot, rigid feet, bunions and the lower back pain. Luckily, with the best insoles for high arches, you won’t have to go through the pain. The insoles have an excellent arch support, are well cushioned and are adapted to absorbing the shock from whatever activity you are doing. In fact, doctors recommend some of the best inserts as a solution to high-arches. 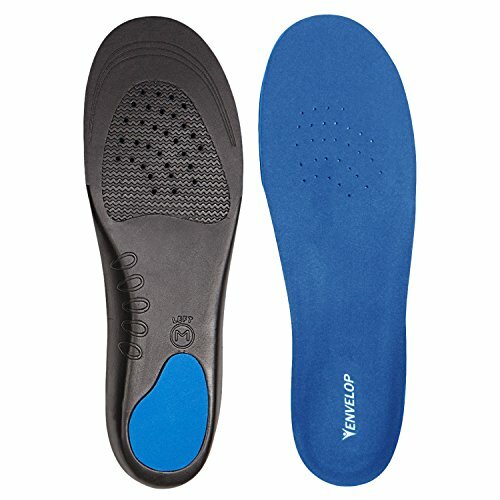 Here is a guide on buying insoles ideal for the type of your arch. Insoles, also referred to as footbeds or inner soles, are the inside parts of shoes that run underneath and give support to the bottom of the feet. They can be quickly removed and are often replaceable. 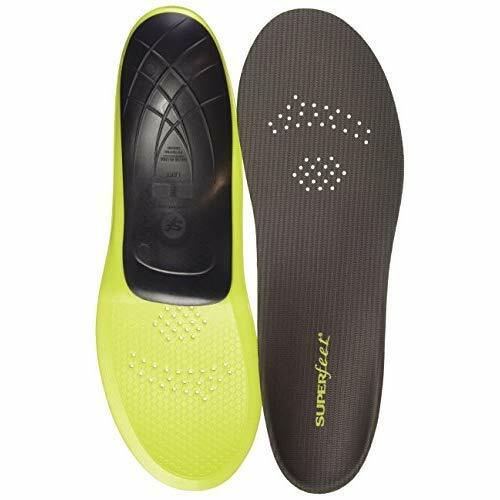 Many people occasionally swap the original shoe insoles with pairs of proprietary specialty insoles for more comfortable and supportive fits. 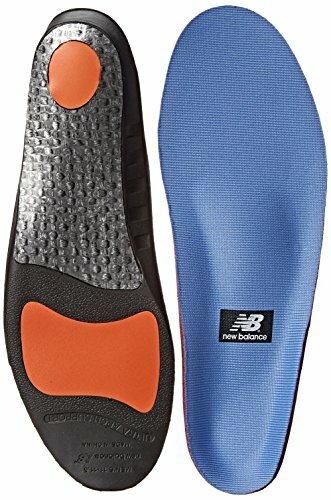 These insoles purchased separately are referred to as aftermarket insoles. Insoles usually attach on the upper part of the shoe and are products of synthetic insole board or cellulose paper board. 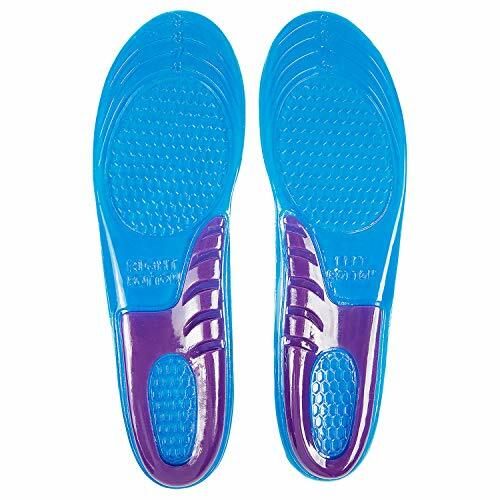 To make the shoes more comfortable, absorb shock, and control moisture and odor, specialty insoles can be added. For health-related issues, orthotic insoles will offer better support to the foot and position it well. Generally, there are three types of insoles you can purchase: custom orthotics, comfort insoles, and support insoles. These are insoles designed to address specific and chronic foot issues. 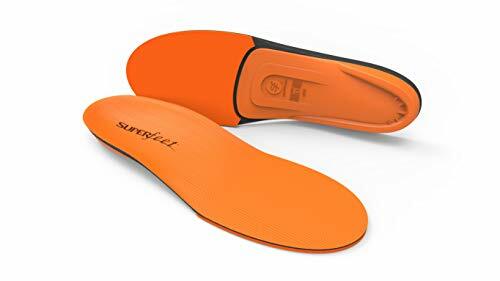 Sometimes, these insoles take the design of the custom or support insoles, depending on the individual needs and the shape of the arch one has. They are usually made from a gel or soft foam, which helps in cushioning and absorption of shock when one runs or strides. 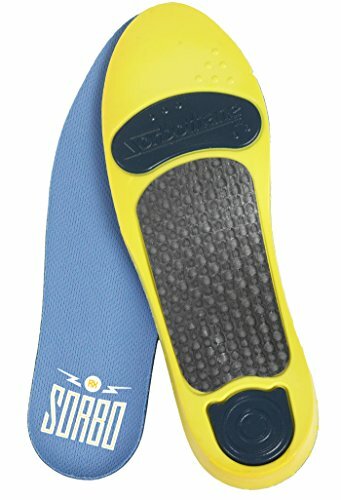 These types of insoles are designed with people who have aching feet, from standing too long, in mind. They also come in various forms, sizes, and amount of cushioning. They are made from a much harder foam than those used in making comfort insoles. Mostly, they function in offering additional support and stability to the shoe, instead of only being a comfort source. Some of them were created to help people who experience overpronation, plantar fasciitis, and splayed feet among other foot related problems. Insoles in this category, those with enough cushioning and support, make some of the best footbeds for those with high arches. If you consistently spend time on your feet for long hours, you know just how mandatory it is to have the best insoles to go with your shoes. They offer comfort, support and may extend the life of your shoes. Listed below are some of the metrics you need to put in consideration before getting one of the insoles. Overpronation – it refers to the way the feet roll inwards as it strikes the surface, it is the most common gait. It determines how the impact is distributed. When the foot is planted, it turns inward in an excessive manner, thus transferring the weight towards the inner edge instead of keeping it centered on the ball of the foot. Supination – this is the most common for people with high arches. When the outer part of the foot strikes a surface, it rolls outward. If the angle the foot hits the ground is steeper than the standard angle with little or no inward movement, it causes a jarring effect and an enormous transfer of impact force through the lower leg. Neutral gait – here, the feet are neither supinated or overpronated. When one runs or takes strides, the foot makes a landing on the outer edge, and in a controlled manner, it rolls inward and distributes weight evenly, helping in the absorption of shock. On push off, the pressure is equally distributed from the front of the foot. These three gaits affect the choice of insole you will get. For high arches, common in people with supinated strides, you want to choose a product with proper cushion and support on the impact point. When choosing an insole for high arches, comfort is mandatory as it is in selecting the best for shoes. You do not want one that attracts chaff, or even worse, one that might cause an injury. Without comfort, your feet will tend to get tired and achy. This is reason enough to get insoles that provide maximum support. This choice should come before style, and it is determined by how well the inner sole fits and how much cushioning it offers. Ensure that it fits the shoes you wear and that it provides room for breathing. Look for inserts that are gel made or are products of memory foam. They will provide the ideal support to prevent or minimize the issues experienced with high arches. Function means the type of activity your shoes are intended for. It is vital to consider where and how the inner soles you are choosing will be used. Different excercises have various levels of impacts. 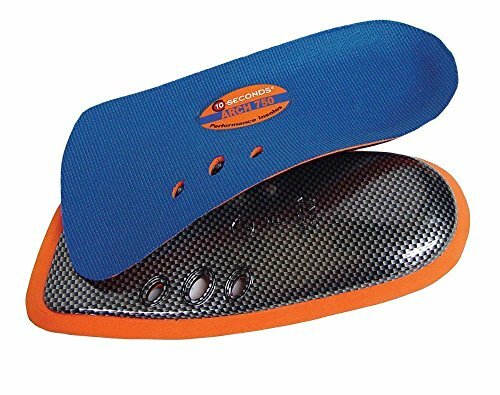 If your job requires too much walking, as a nurse, a retail cashier, or a waiter would, you might want insoles that offer a substantial foot support than anyone whose task is primarily spent in an administration job or sitting down. Similarly, an athlete will need a different footbed than someone who hikes or bikes for regular exercise. People with high arches are prone to back, foot, or hip pain. As such, choosing the best insoles that correctly gives the arch proper support is mandatory. 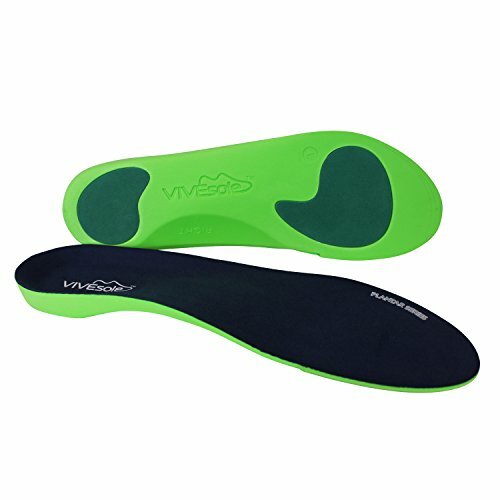 These insoles are rigid and are designed to absorb even the harshest impact of body weight on the heels or the balls of the feet. When this happens, imbalance and discomfort is restored. It does take some time for one to get used to these kinds of insoles, but it is worth it compared to the problems one is bound to experience. You never know, a pair could be life-changing. Look for inserts that do not only offer support, but has cushions that can keep your feet snug and provides relief to the aching places in the feet. This is the first sign of relief and is often the first in treating plantar fasciitis. The size or fit of the of the insole is a crucial factor that determines the overall support and comfort the shoe offers. When shopping for aftermarket inner soles designed for high arches, choose the right fit. The wrong choice will only worsen the condition you are experiencing, which is why you should be extra keen. Before buying then insole, request to stand on it outside the shoe. Try to balance with one foot raised to determine if it fits right. Consider how stable you feel during the process, and the pressure it exerts as well as the support. Next, remove the stock insole and fit it in your shoe, then try it on. It should provide excellent support and comfort apart from offering the general fit. Ensure the volume isn’t too much or too little, just the perfect amount. You can make use of the size charts to aid in finding the best fit. 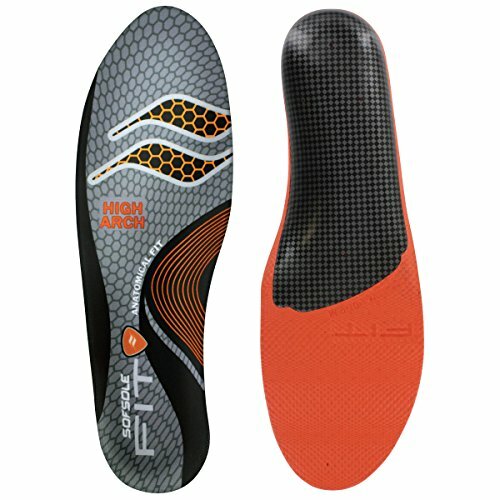 How the insole is shaped determines the level of support it offers. Similarly, the type of material used to make the inner sole is vital in choosing the right one for high arches. Various manufacturers prefer different types for their inner soles, but whichever choice you make, it should be soft and have room for your feet to breathe. Also, it is essential to make sure that the material used can withstand much of your weight. That is, it is semi-pliable, but sturdy enough. Runners would worry about the impact occurring whenever their feet hit the ground and the related injuries that potentially follow. The injuries that may be experienced can be severe in the long run if not taken care of at early stages. Your picking of the best insoles for high arches largely depends on the type of shoes to be fitted in. If your shoes are meant for running or any other sports activity, you should consider support and cushion. There are lots of insoles specifically designed for various activities; you should also factor that in. Keep in mind that the insole is also determined by the shape of the shoe, for this reason, make sure you have the footwear with you to see if they fit before making the purchase. The overall benefit of buying the best insoles for those with high arches is to get rid of the problems like stress on joints. The pressure causes several types of pain including hip, knee and lower back pain. The right insoles will prevent or possibly alleviate these problems. Insoles also provide an excellent support during an activity. This keeps you safe from possible injuries often experienced during workouts. These products also serve to rectify specific walking styles. Good insoles will prevent overpronation, and give your heels the best arch support. It is a secondary consideration that determines how one walks and how the impact is absorbed. Typically, footbeds will last for about a year or less, depending on how you use them. When they get dirty, based on the material and the industry recommendation, you can wash them using water, a detergent, and a brush with soft bristles. Air dry them instead of putting them in a dryer. The machine will most likely damage the foam as well as the structure and shape of your insoles. The same way the wrong types of shoes cause problems related to back pain, insoles are other culprits as well. Even if you have the right shoe, but the insole isn’t ideal, you are bound to suffer from problems like the knee, hip, and lower back pain. This is especially true if you have high arches. Feet with this type of arch don’t get the best shock or impact absorption, leading to stress and consequently chronic pain in the long run. Why not get yourself a pair of the best insoles for high arches? Apparently, the market is flooded with these products. They come in a wide assortment of sizes, materials, and shapes. Some are even specific to certain shoe types. However, this shouldn’t fool you into thinking that all of them are the best fit. Ensure that you have your shoes with you to determine how they fit before you buy them. Always consider the material type, the support, cushioning, the size and most importantly the kind of activity the insoles will serve. It doesn’t matter whether the insoles are meant for use while walking, running, standing or any other activity. If you have high arches, you should prioritize these considerations. The right insole will remedy the high-arch related problems. Although there are other additional considerations like price, and the size of the shoe among others, they do not compare to how critical the above-discussed factors will help you make an informed decision on the right insole for high arches. Of all the available inner soles, you can now confidently choose one that meets all your needs, knowing that the value of your money is worth the pair.